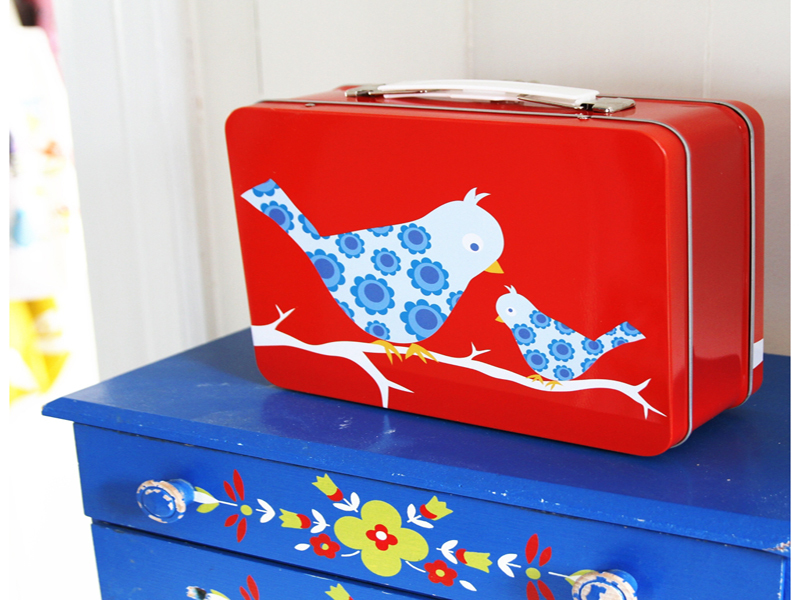 We love fantastic vintage inspired stainless steel lunchboxes and right now we’re swooning over the super cute selection from Blafre. The Norway-based husband and wife company creates colorful graphic lunchboxes that can be used for much more than just lunch. What a perfect eco-friendly way to store favorite treasures, tote art supplies, or take a stack of books outside on a summer day. Each lunchbox is made of recyclable, food-safe stainless steel and comes in an assortment of bold designs — sharks, birds, tractors, deer, etc. — for your uber cool little one. We love fantastic vintage inspired stainless steel lunchboxes and right now we're swooning over the super cute selection from Blafre. The Norway-based husband and wife company creates colorful graphic lunchboxes that can be used for much more than just lunch. What a perfect eco-friendly way to store favorite treasures, tote art supplies, or take a stack of books outside�on a summer day. Each lunchbox is made of recyclable, food-safe stainless steel and comes in an assortment of bold designs -- sharks, birds, tractors, deer, etc. -- for your uber cool little one.